Craft beer is a growing field. Between 2012 and 2017, the number of craft breweries in the US jumped from 2,420 to 6,266 – that’s an increase of 159%! That growth doesn’t include microbreweries that produce fewer than 15,000 barrels of beer per year. And, the number is still growing. It’s no wonder craft beer is so popular. Anyone can grab a 6-pack of Miller or Budweiser at the local grocery store. But craft breweries offer unique personalities that their consumers can relate to – as well as unique flavor profiles. And that counts for a lot. People value authenticity in the brands they purchase and craft breweries deliver that authenticity in spades. And, this desire for genuine, unique brand experiences isn’t going anywhere. So, if you make quality beer and have a unique perspective to share with the world, then there’s a place for you in the craft beer industry. We’re a new kind of capitalism with a different perspective on the end game. We’ve found a way to be in business and enjoy it. A lot of people are flabbergasted by the camaraderie, the sharing among competitors. We’re open to doing things in a positive light. More passionate than opportunistic. This supportive attitude serves them well. The community shares information, ideas, and encouragement, making craft beer one of the most welcoming industries for newbies. If you’re passionate about beer, and you’re ready to join the craft beer community, you’re in the right place. Starting a brewing business is hard work. But, you’re not alone. Here’s a complete, 9 step guide on how to start a brewery business. Let’s take a look at what you need to know to get started. You can’t get where you’re going if you don’t know where you’re going. So, when you envision your own craft beer business what do you see? Are you selling your unique brews to distributors to be sold regionally? Maybe you’re running a brewpub, pairing delicious menu items with your craft beers? Or are you the master of a microbrewery and tap room? Before you can start to seriously plan your own craft beer business, you need to understand the end goal that you’re aiming for. Choosing your business model is the first step in that direction. This is true for any business, not just for brewery businesses. In our guide on how to start a small business, we suggest that aspiring entrepreneurs choose a niche for the best chance at success. 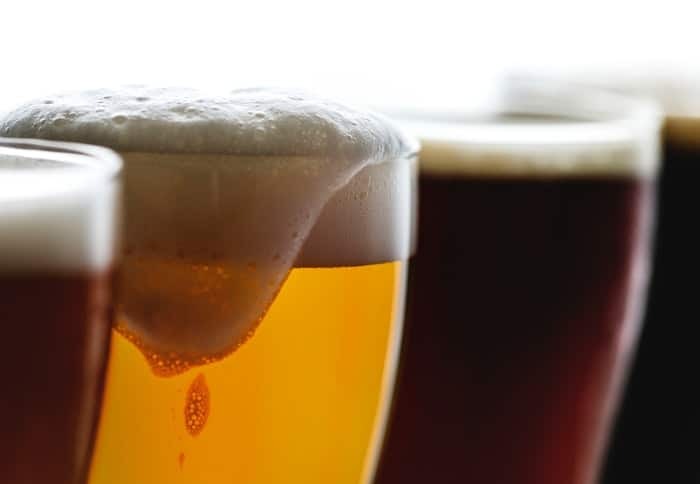 The Brewer’s Association for Small and Independent Craft Brewers identifies four separate market segments for the craft beer industry – microbreweries, brewpubs, contract brewing companies, and regional craft breweries. 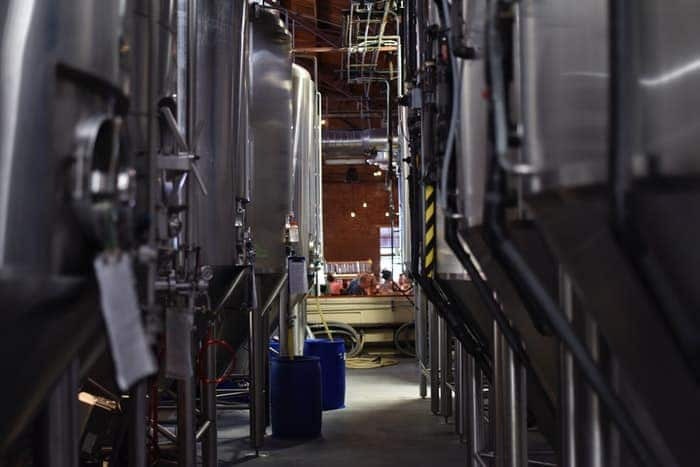 Microbrewery – The BA defines a microbrewery as one that produces fewer than 15,000 barrels of beer per year, and sells 75% or more of its beer offsite. Microbreweries may include a tap room that sells beer onsite. 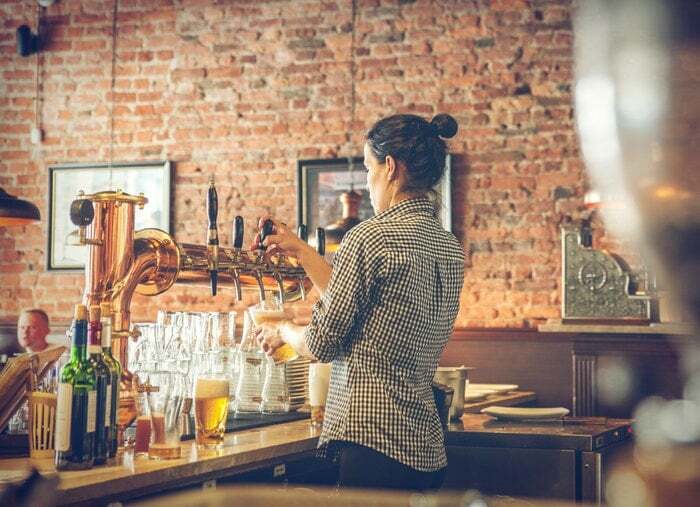 Brewpubs – Brewpubs are restaurant breweries that sell at least 25% of their beer onsite. In some states brewpubs can sell beer, wine, and spirits from other manufacturers as well, other states prohibit this. Check on your local state laws. 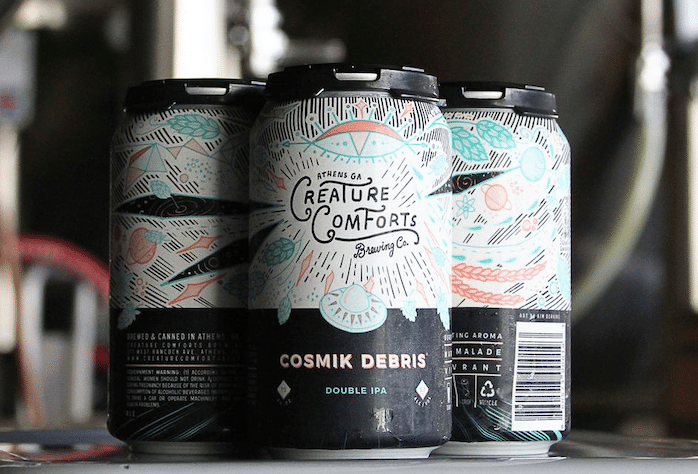 Contract Brewing Company – In this business model, one business hires another brewery to manufacture their beer. The contract company would handle the other business aspects such as distribution, marketing, and sales. It’s important to note that each state in the US defines its own alcohol laws. And, to truly understand what your business options are, you’ve got to learn what’s legal in your state. So, read up on your state’s laws. A microbrewery in one state may be governed by very different rules than a microbrewery the next state over. And, once you’ve decided which overall business structure is the right fit for you, it’s time to get more specific. We recommend that you write a business plan. This should outline your goals and how you plan to achieve them. For more information about how to create a business plan, the Small Business Administration has you covered. Click here to see their complete guide to writing a business plan. This will serve as your guide as you venture forth into the adventure of running your own business. And, remember – business plans aren’t set in stone (you should be prepared for it to evolve over time). But, they do serve as a necessary starting point to help you get your business off the ground. The alcohol industry is governed at both the federal and state level. Alcohol production, distribution, and sales are all heavily shaped by laws. 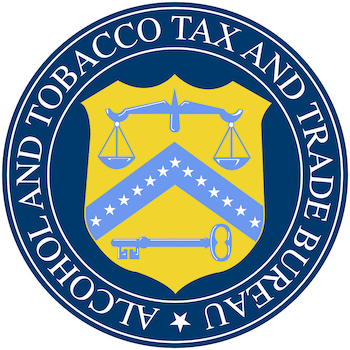 The alcohol industry is overseen at the federal level by the Alcohol and Tobacco Tax and Trade Bureau or “TTB.” It’s important that you know and abide by all existing federal laws governing beer and alcohol. And, while the federal laws and regulations provide the baseline for what you’ll need to know, they are merely the foundation. State laws have the most control over how your craft beer business will be run. The current laws governing alcohol production, distribution, and sales evolved in the wake of the Prohibition era. 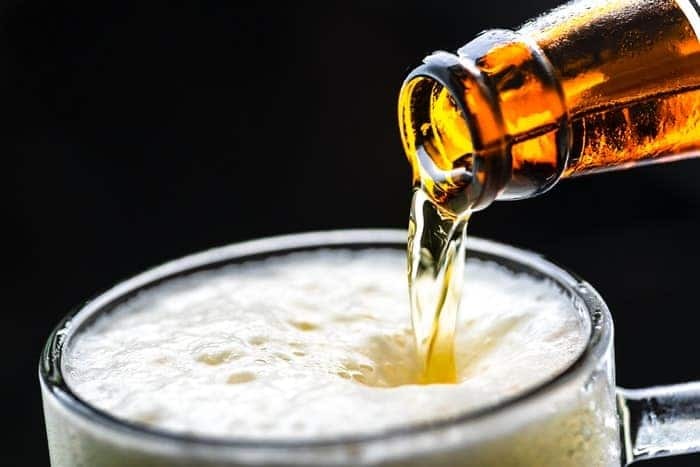 After the 21st Amendment (lifting prohibition) was passed in December of 1933, states were left to decide how they would repeal the prohibition laws in their respective state. The result was a 3-tiered system separating alcohol producers, distributors, and retailers. This system is still in place in most states today. Fortunately for small brewers, the laws of many states provide flexibility allowing many brewery business models to thrive within the overall three-tier structure. 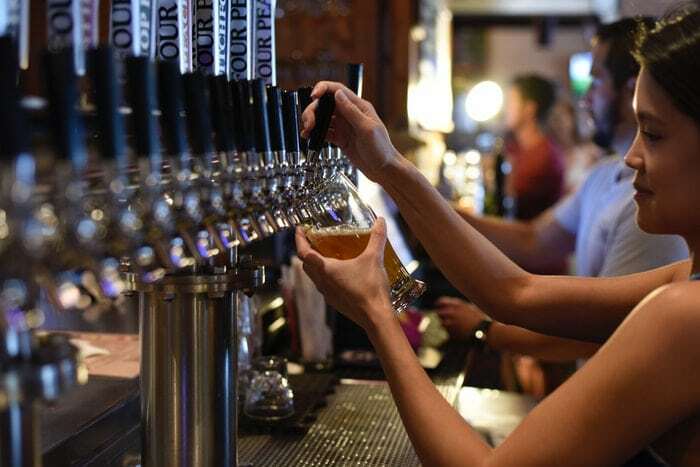 Brewpub laws allow the marriage of producer and retailer tier into single premises… Conversely, most state brewery laws today authorize brewers to have a tasting room or restaurant as part of their brewery, and an increasing number of states permit brewers to also open a few remote retail tasting rooms or restaurants in order to brand themselves at premier retail locations. As you can see, this 3-tier system provides the framework within which your future craft beer business must operate. So, get to know it well. You can learn more about the 3-tier system here. Each state determines how this 3-tier system will be executed in their territory. So, look into the laws governing beer production, distribution, and retail in your state. Starting a craft beer business isn’t all brewing and drinking. There are basic administrative tasks that all businesses must complete in order to legally operate. For instance, you need to choose the legal structure for your new business. Sole proprietorship or LLC? Will you incorporate or register a partnership? A sole proprietorship is the “most basic type of business to establish” according to the SBA (Small Business Administration). You are the sole owner of the business; and, as such, are solely responsible for the assets and liabilities accrued by the business. This may be just the ticket for your brand new, baby crafting business as it is also the easiest to set up. Think carefully about your business structure. Breweries are expensive endeavors. So, the protections an LLC offers may be a better fit than a sole proprietorship. Don’t skimp on these less glamorous decisions – they can have a big impact on your business in the long-term. After you decide on your business’s legal structure, you’ll need to file the necessary paperwork. The U.S. Small Business Administration tells us that some form of license or permit is necessary for virtually every type of business. You may need to file multiple permits – those that are relevant to establishing your business entity (LLC, sole proprietorship, partnership, etc.) and those that are relevant to your specific industry. Research the state laws impacting breweries in your location to discover precisely what permits and licenses you’ll need to acquire in order to run your brewery, microbrewery, or brewpub in your state. This article from CraftBrewingBusiness.com walks you through the overall brewery license and bonding process. And, you can find a tutorial and get started with your TTB permits here. If you need help with vendor or employment, take a look at Quickly Legal, which offers entrepreneurs, small businesses and startups an easy and inexpensive way to create, sign and manage business contracts, with many you can start using right away. Okay, enough with the legal stuff. Let’s talk about something fun – your brand! 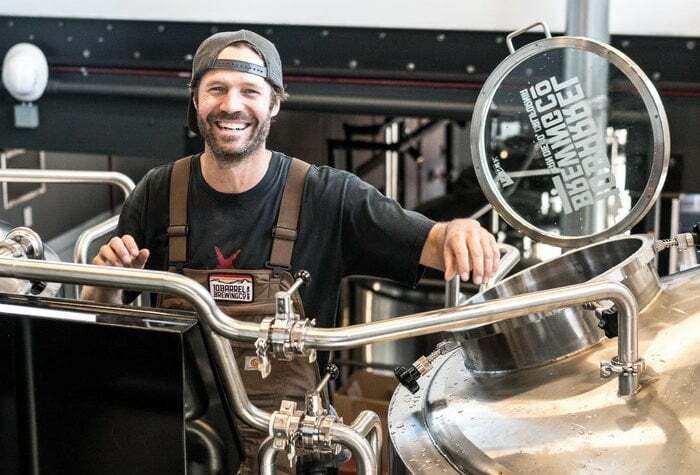 Craft breweries are known and celebrated for their unique brand personalities. No boring Michelob or Budweiser here! So, if you’re going to get noticed, you need to consciously develop your brand identity. 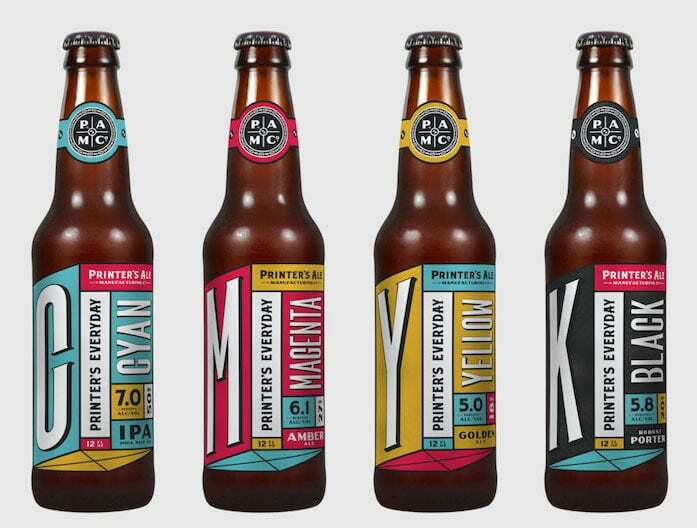 The importance of your brand identity cannot be understated – especially in the world of craft beer. With so much creativity and unique personality already on display, a lackluster brand will fail to take off no matter how good your brews are. 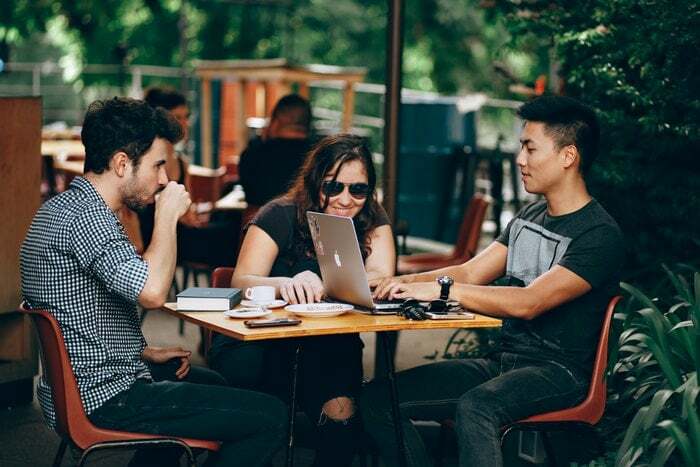 In particular, millennials (a major buying force) want authentic connections with the brands they purchase. And, with so many craft breweries in the US, there’s a perfect fit for every unique beer-drinking audience. What personality do I want my brand to project? Who will want to drink my beer? What can customers get from my beer that they can’t get anywhere else? Your answers to these questions (and others like them) will build the core of your brand. All of your future branding decisions should expand on these ideas. Your business name, your logo, your website design, your beer can or label designs, and your brewpub or tap house decor should all grow from the concepts you lay out here. So, take the time to think – really think – about your brand from the start. And maintain that brand as your craft beer business evolves and grows. This consistency of brand personality (and the quality of your beer) will keep loyal customers coming back. But for craft beer businesses – which require a large upfront investment in brewing equipment and materials – wrapping your head around the numbers is even more important. You’ll obviously want to track your sales and profits – eventually. But there’s so much more to think about before you can get there. You’ve got to start at the beginning… with your start-up costs. For a more complete picture of the cost of starting your brewery, read this article from Nerdwallet. Once you know how much it will actually cost to get you started, compare that with the funds you actually have. Then plan how you’ll make up any difference. If you have savings, that’s great. But, be prepared to take out a small business loan. Before we got started we did a lot of research on what to anticipate from seasoned veterans in the industry. All of them said that we should plan for everything to take twice as long and cost three times as much. We approached our plan with this in mind and they were certainly right. 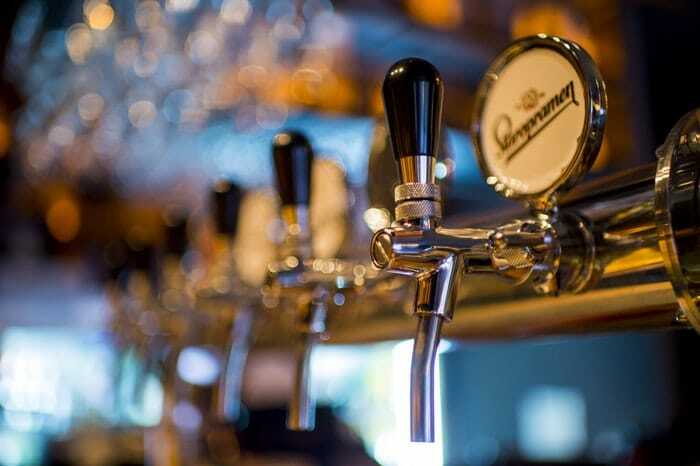 For a deeper look into this complex topic, consider following up with Beer Business Finance. The heart of your business is the beer you brew. So, it’s vital to give your actual brewing set-up the utmost attention and thought. The facility you choose to brew in and the equipment you put there will determine your brewing capacity for the next several years at the very least. And, upgrading or purchasing a new system is complex and expensive. So it’s best to get your brewing set-up right from the get-go. Start by determining what functions your space will serve and how you will use it. Is it just where you brew your beer? Or will there be a tap room as well? Will it be a brewpub? If so, how much space needs to be dedicated to the brewery vs the kitchen vs the seating area? Once you’ve outlined exactly what you need from your space, you can keep those needs in mind as you review different facilities. Does the building have easy access for loading and unloading supplies and product? Is there room to store product on site? Is the rent or mortgage low enough to accommodate any needed renovation costs and remain within your budget? Does the neighborhood have (and is it safe for) foot traffic if you plan to cater to onsite guests? Is there room for guests to park (if appropriate)? Does the building offer enough space to expand your brewing system’s capacity in a few years or would you need to relocate? We’ve expanded the operation and reached capacity production three times since we started brewing in 2009. We’ve now maximized what we can fit in the footprint of our current building. We are in the process of relocating to a new location. Our new site will, of course, have room to grow, so at least we’ve learned! Your brewing system is also vital to the success of your craft beer business. The larger the system, the more beer you can produce and the more beer you can sell. But, brewing equipment is expensive. So, it’s important to strike the right balance. Overspending on your brewing system without an established demand will only backfire. And a system that’s too small will save you money upfront, but lead to additional costs as you upgrade. This article by Wooden Hill Brewing gives a great break-down of the equipment you’ll need and the considerations to keep in mind when choosing your system. 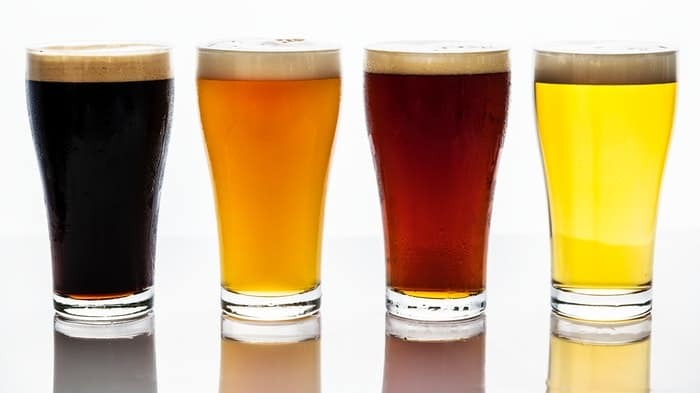 And this piece by the Brewing Industry Guide can help you decide on the right size system for your brewery’s needs. Before any consumers can enjoy your beer, it has to be packaged. And, it needs to look good. Luckily, you have more options for packaging than ever before. You’ll still be working with bottles, cans, and kegs. But, new technology in materials and labeling mean you can make smarter choices for your business. Some breweries choose to bottle or can their own brews on their own equipment. Other breweries hire in mobile canning services like The Beer Monks of Southern California. Opening a brewery is a big investment. And, when you’re first starting up, it’s a good idea to ask yourself where it makes sense to save money. For some breweries, the packaging is one of those places. Depending on the size of your operation, and thanks to mobile canning and bottling services, you may be able to avoid purchasing, housing, and running your own bottling equipment. Look to see if there are mobile bottling and canning services in your area. Then compare their fees with the costs you’d rack up buying and running your own packaging system. …if you don’t have an engineer on staff, become friends with one quickly. There is always something that needs to be repaired. Bottles are the traditional choice of craft breweries. But, cans are growing in popularity. Purists will claim that beer tastes better from a bottle. But, cans keep beer fresher longer, are more eco-friendly, and are cheaper to ship due to their lighter weight. The differences don’t stop there. Bottles offer the flexibility of a cap, neckband, and label to share your packaging design. But, cans offer more physical space for design. There’s no wrong choice. But, don’t make a decision without weighing the pros and cons. When it comes to packaging design consider both the materials the design will be printed on and the package graphics. There’s a dizzying array of bottle label materials to choose from; including paper, matte film, glossy film, metalized film, wood finish film or clear film. Each of these communicate a different message to your consumer; so make sure to select a label material that reflects your brand identity. Cans don’t offer quite so many options. You can print directly on cans or apply a plastic shrink-wrapped sleeve. 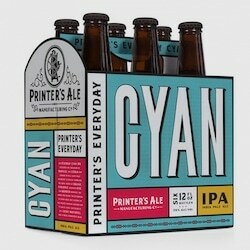 Printing directly on the can limits the number of colors you can use and it’s hard to achieve bright vibrant colors. Can sleeves offer a more vibrant look and a quicker turn-around. These sleeves are very versatile canvas for printing your can design. To learn more, read up on cans vs can sleeves here. Once you know what material your design will appear on, you can enlist the help of a professional designer. Make sure to let them know the dimensions and materials for your packaging, as well as detailed information about your brand and the product itself. The more information you can provide about your brand personality, mission, and beer, the better. 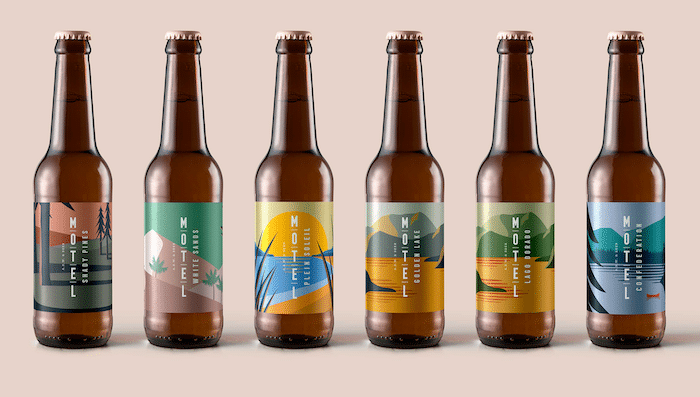 These details equip the designer to create a design that will embody your beer and your brand. And, don’t be shy about providing feedback to guide the evolution of a design. You know your product better than anyone else. So don’t be stingy with your knowledge and guidance. If you’d like to see lots of design options before settling on a final design, consider using a crowdsourced design service like crowdspring. Historically, kegs have been made of stainless steel. These kegs are then returned to the brewery to be re-used after they’ve been tapped out. However, there’s a new game in town. Lightweight, sustainable, one-way kegs are now available. They’re cheaper to ship and can travel further from your home base than traditional stainless steel kegs. This gives you the option to sell to new markets. 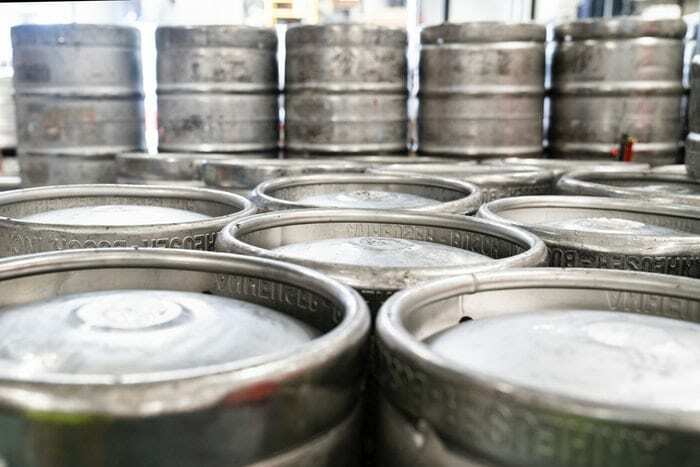 Whether you opt for stainless steel, lightweight one-way kegs, or both… know your options and make the choice that will serve your business best. You can brew the very best of products and have great packaging, but without good distribution, it will be not be enjoyed by the end consumer. And, depending on where your brewery is located, you may or may not be able to distribute your own beer. (Remember that 3-tier system?) As always, begin by researching the laws in your state. This resource from the Brewer’s Association is a good place to start. If you’re unable to self-distribute your beer, then prepare to find a distributor. Or, if you decide that paying for trucks, labor, storage is too costly and you don’t want to self-distribute… you’ll need a distributor. Do they have access to the markets you want to sell in? Will they help to market your brand? Do they have the connections needed to get your beer into the retail spaces where your audience drinks and buys? Is their territory wide enough to help your business expand as it grows? Once you’ve signed with a distributor, you’ve committed to that path for the term of the contract. So be sure you’re comfortable with your choice before you commit. For a more in-depth look at how to prepare for beer distribution, click here. Your website is one of your brewery or brewpub’s most important ambassadors. So, put this vital business tool to work for your craft beer business. Start by ensuring that your website design truly embodies your brand. Visitors should be able to understand who you are and what your brand is about as soon as they arrive. Share your brewing process and philosophy as a brewer. Write copy with your target consumer in mind. In addition to serving as a brand ambassador, your website is also a great venue for attracting a wider customer base. Strong copy describing your beers along with enticing photography will make consumers want to give them a try. And, you can share your full line, inspiring consumers to try more flavors. Offer seasonal brews? Mention them on your site so that folks know to come back to try them at the appropriate time. Finally, a strong website design will lend credibility and legitimacy to your business. Make sure you’re using your website to its fullest capacity. There’s no doubt about it – starting a craft beer business is hard work. But, brewing is a work of passion. And for those who have followed its call, it’s a rewarding, fulfilling career. With planning and hard work, you can join their ranks. And, soon, you’ll be toasting your own craft beer business with your very own brew.